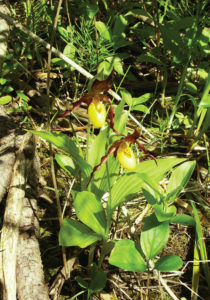 Throughout the Bay Shore neighborhood, native Lady slipper orchids and other plants struggle to survive amidst invasive buckthorn. Door County Land Trust and Bay Shore Property Owners Association continue to battle invasive plants with a new multi-year community conservation project to eradicate non-native common and glossy buckthorn (Rhamnus spp.) and exotic honeysuckle (Lonicera spp.) at the Bay Shore Blufflands Nature Preserve. The project, known as the Bay Shore Blufflands Buckthorn Blast, began last summer with educational presentations and treatment demonstrations for volunteers and neighbors. Invasive species contractors began the first round of treatment this winter. Vigilant neighbors and stewardship volunteers will now watch for regrowth and ensure that the combined efforts by volunteers, contractors and partners are well maintained. The community conservation project is supported in part by funds from the Bay Shore Property Owners Association and a Land Trust Excellence and Advancement Partnership (LEAP) grant through Gathering Waters and the Land Trust Alliance. Door County Land Trust will match these funds and contribute additional funds from our Stewardship Endowment Fund. 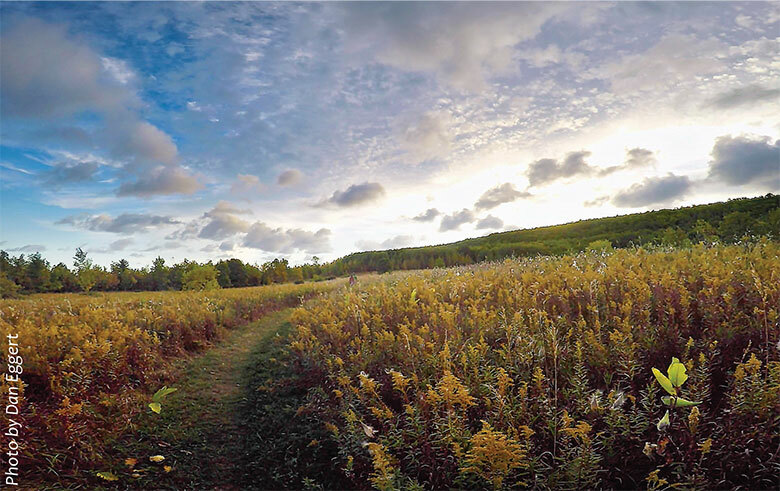 The Land Trust will continue to raise funds for the ongoing care of the restored lands.